In Depth Not sure what to watch this weekend? Check out our selection of the best TV shows on Amazon Prime Video. Updated Stop scrolling through shows. Here's the definitive guide to the best shows on Netflix. Updated We've scoured the net to compare prices and bring you the finest selection of cheap US TV deals. 4K and HDR: BenQ HT3550 Projector review The BenQ HT3550 (W2700) performs like a dream, but is it worth the cash? Samsung Galaxy Fold launch officially delayed – no release date in sight Will they fix the fold? Updated The PS4 is an excellent console, and here are the best US prices and deals currently available for PS4 and PS4 Pro. TechRadar Deals Amazon has the Blink XT home security camera systems on sale and starting at just $79.99. The LG C9 is a triumph of TV technology that offers significantly improved performance thanks to the addition of artificial intelligence. Updated Could a one-page website do everything you need? Updated Samsung has taken its time with its foldable flagship phone, but we've finally gotten hold of the Galaxy Fold. The PA90 offers plenty of power, but holds back on the upgrade options. With a massive zoom, raw shooting and 4K video, is this a DSLR killer? Updated This VPN service sports a free plan with unlimited bandwidth, but is it up to scratch? Updated This small VPN provider offers some temptingly priced plans, although there are issues to be aware of. The A1000 has a lot right on paper, but it's hard to reconcile its mixed performance with its high price tag. 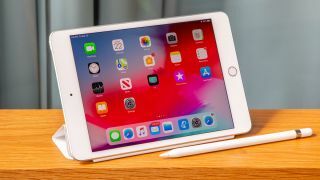 Apple rules the tablet roost, but is its newest iPad Pro a worthy addition to the iPad line? Updated Yahoo has its fingers in all sorts of pies, including web hosting. The Epson Home Cinema 5050UB is a high-quality home cinema projector that's built like a beast. Increase your PC performance by turbo-charging your CPU and GPU in our beginner's guide. If you've reset your iPhone or bought a new one, you're going to want to recover your files. Here's how. If you don't want to risk losing data you should definitely back up your iPhone. Here's how. How to Here's how to wipe the data off a hard drive, SSD, or external drive in Windows 10 and macOS. guide Here's what beginners need to know before starting FromSoftware's Sekiro: Shadows Die Twice. This is how to use split-screen mode on iPhone or iPad, so you can see two apps at once. Updated Found websites are sending you notifications you don't want? This guide will help you disable them. Find your fitness tracker or smartwatch displaying the incorrect time? Here's how you can fix it, if it's made by Fitbit. Google Chromecast is one of the best ways to watch Netflix without a smart TV – here’s how you do it. Bought yourself a new record player? Here’s everything you need to know to get it sounding pristine.